With a heap of heroes, an intriguing ongoing mystery and lots of great character dynamics, this is a very strong opening issue to a new, exciting crossover. 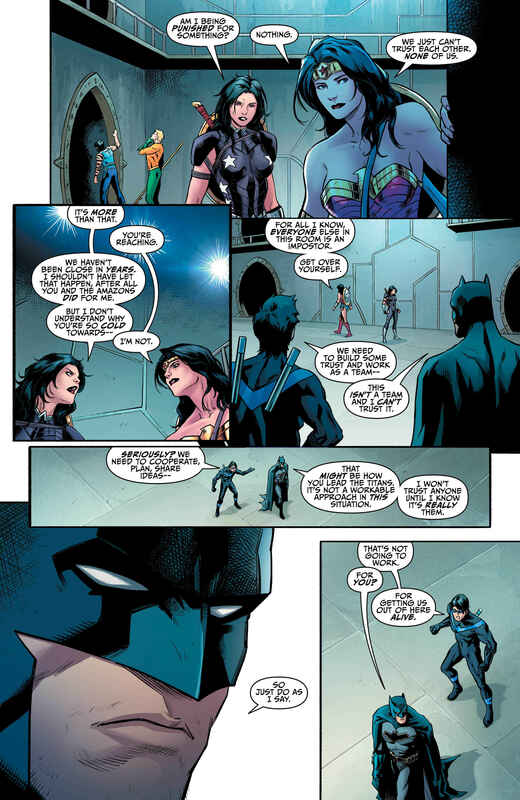 The partnership between a superhero and their sidekick can be a difficult one, filled with as much argument and mutiny as a parent-child relationship. 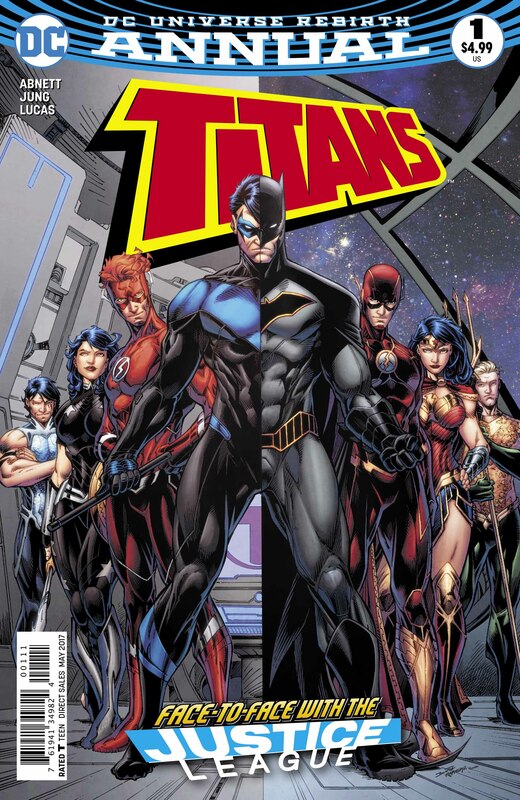 In fact, that’s why the Teen Titans set up shop on their own in the first place. 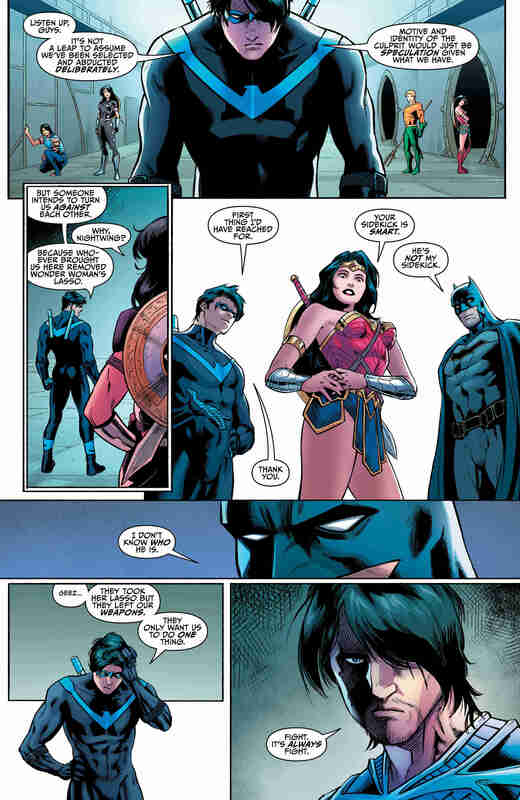 In the new Titans Annual series though, the dynamic between four of DC’s heroes and their proteges is put front and centre. The book sports an immediately strong, stripped-back premise. 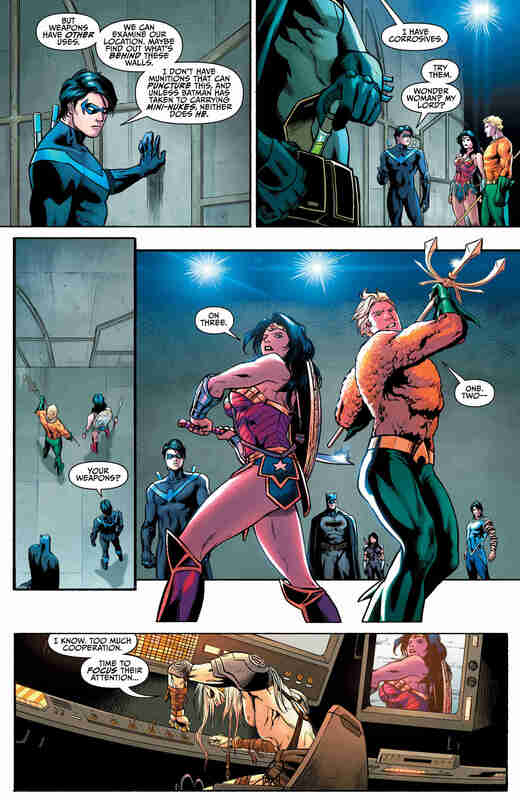 Justice Leaguers Batman, Flash, Wonder Woman and Aquaman find themselves in some kind of bunker, along with four members of their former sidekicks the Titans – namely, Nightwing, Kid Flash, Tempest and Wonder Girl. Where are they? Who has brought them here? And can they even trust each other? 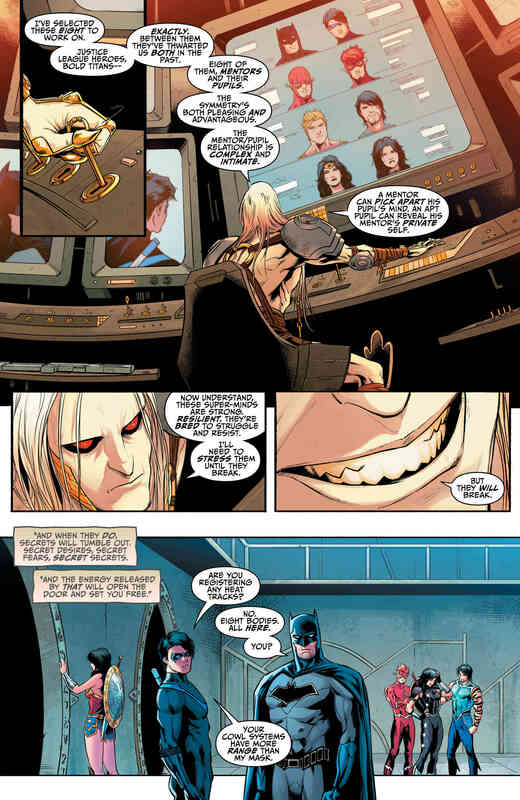 It’s not a particularly novel premise, mind you, but writer Dan Abnett draws some good material out of it. Most notably, double-length issues like this often result in some pages of filler, but Abnett has a tight hold on how his comic unfolds. Chiefly, it’s fuelled by some strong character work. There’s also a bigger point made about the fundamental difference about how the Titans and the League operate. 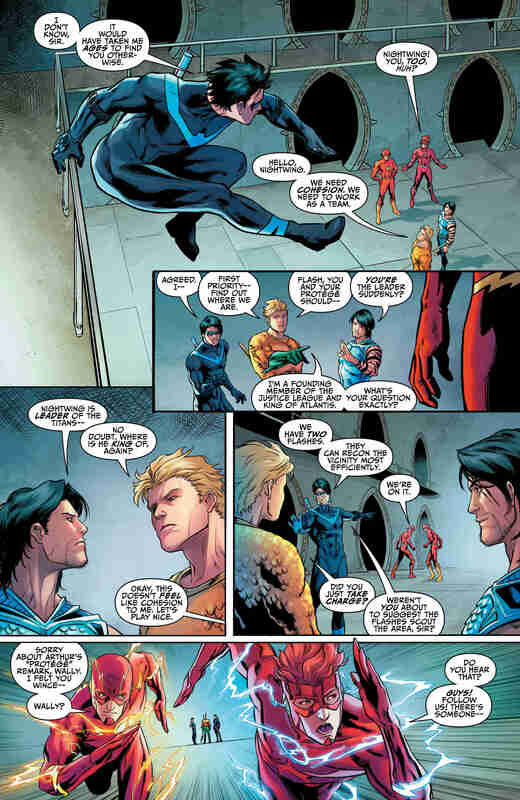 As Wally points out, the League are “allies and comrades” held together by “mutual respect and combined strength,” but the Titans come together because they’re actual friends. 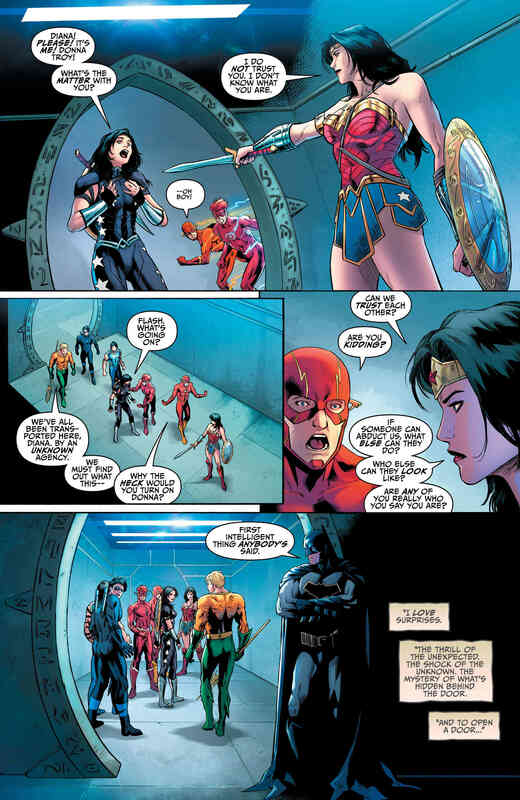 It will be interesting to see if this theme is explored more fully in future issues, as things open up into a broader team-wide crossover. What we do know will be explored is the mystery of who the mystical force is behind the door that apparently needs to feed off the secrets of a “super-mind.” Whoever it is works through a not very often seen C-list villain here. He might not be familiar to casual readers, but there’s enough about his backstory to get you up to speed. Also, one big reveal comes out in the wash in this issue which will no doubt cause a lot of pain and friction in subsequent installments. 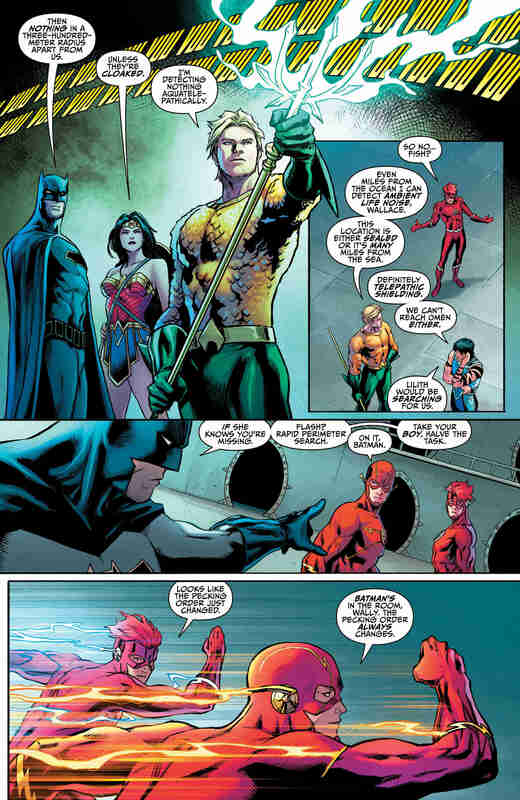 In an issue that features a team up between your favourite DC heroes of both generations, it would be tough to make this issue visually bland, and penciller Minkyu Jung and colorist Adriano Lucas definitely do not fail in that regard. 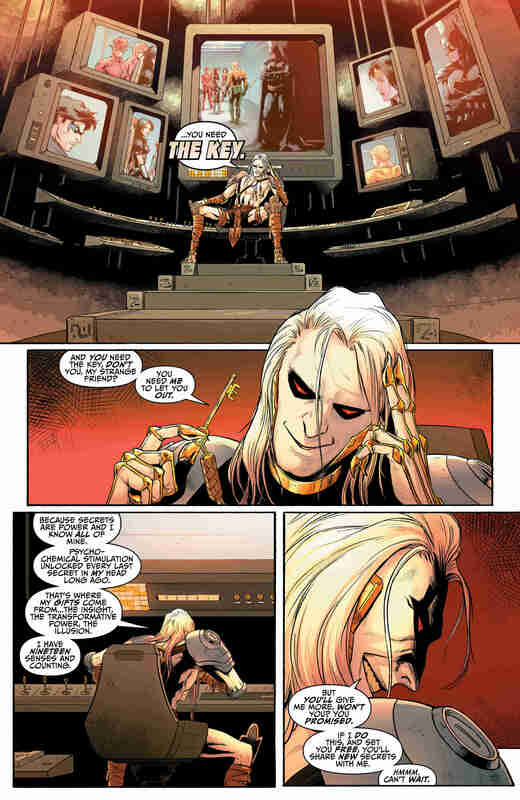 The success of the issue rests on the eight central characters and how they interact, so Jung needed to be on top form with his facial expressions. 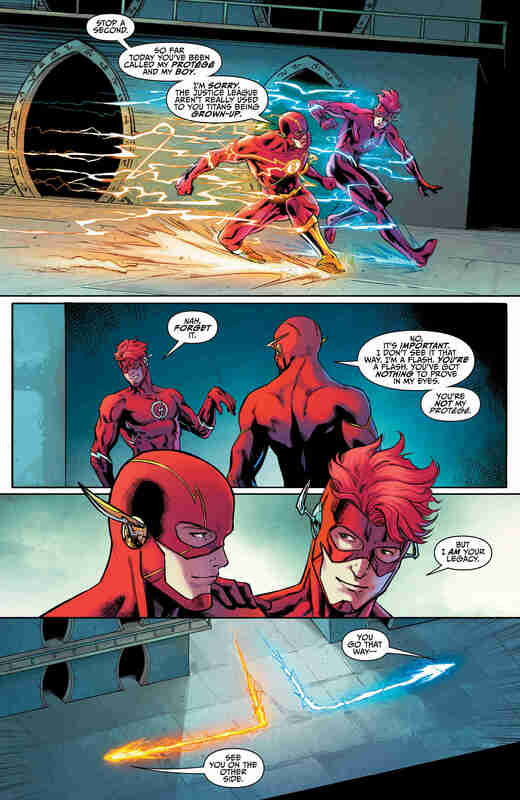 Thankfully, from Diana’s mistrust to the Flash’s smile, he continually nails it. 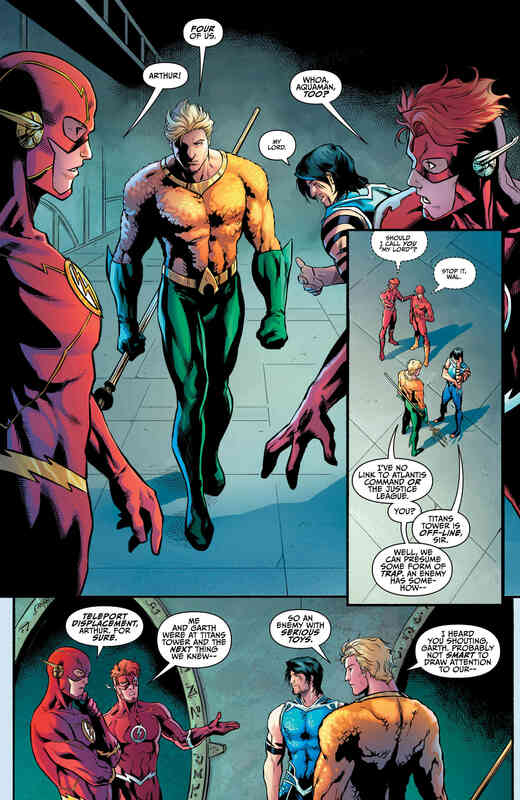 That said, he also excels at the odd action scene that peppers the issue, as the League/Titans have to battle with copies of a few exciting old foes. Lucas’ color work is terrific, too, as the brightness of the heroes themselves is made all the more prominent against the drab, shadowy bunker they find themselves in. 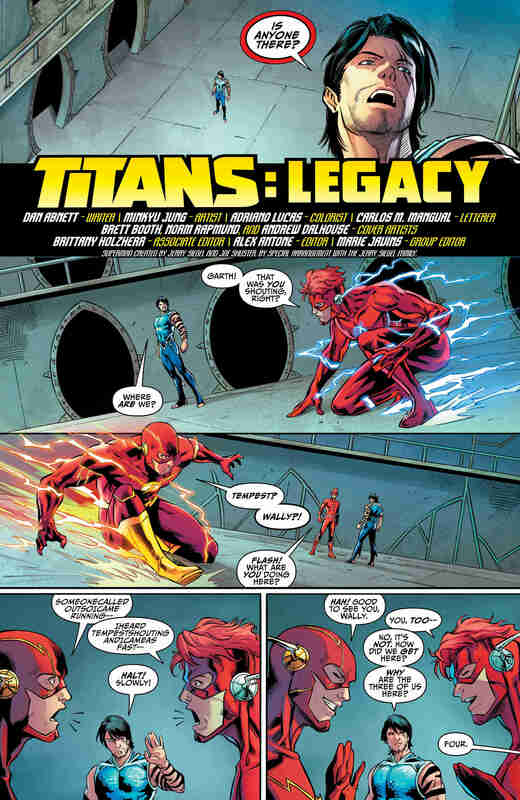 All in all, this is a very strong opening issue for Titans Annual. With a heap of heroes, an intriguing ongoing mystery and lots of great character dynamics, you don’t want to miss this one.